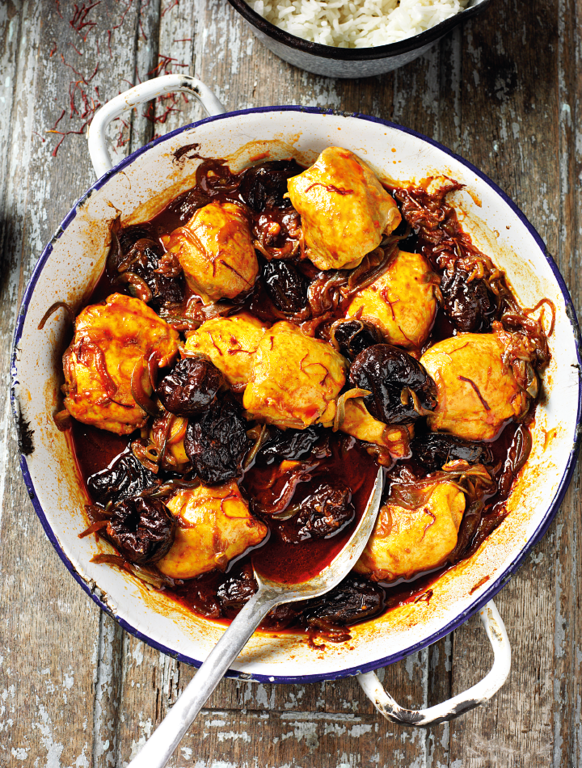 This is Rick Stein's Kozani Chicken from his TV series Long Weekends. 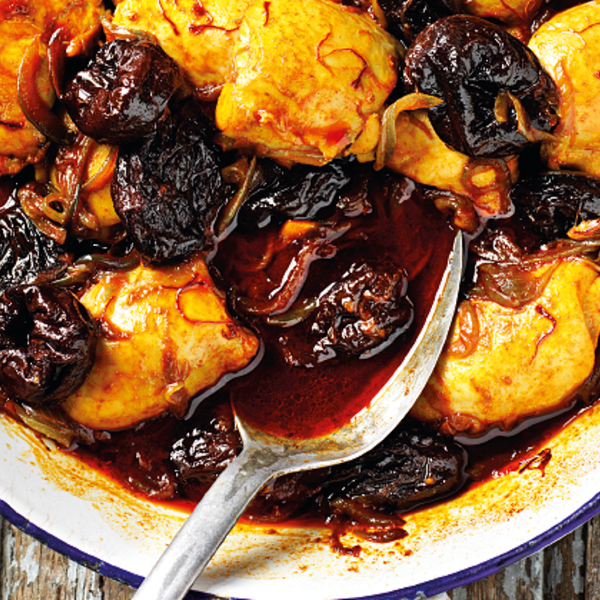 This Greek chicken dish is loaded with sweet prunes, fragrant saffron and smoky paprika. 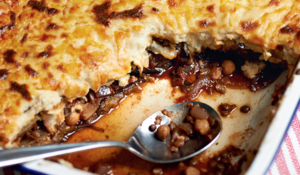 It's one of Rick Stein's favourites from the whole series. Kozani is a town in Greek Macedonia, about an hour west of Thessaloniki, famous for its saffron. 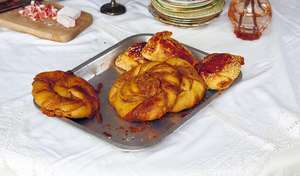 This chicken dish is popular in Thessaloniki too. It seems Byzantine in its influences: prunes, saffron, paprika. 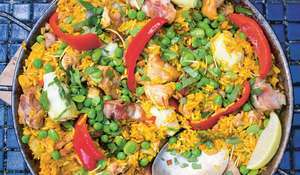 Serve with pilaf rice. Put the chicken thighs in a large saucepan with the water and the saffron. 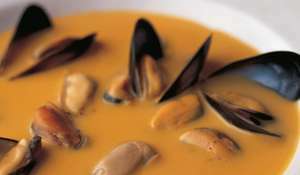 Bring to the boil, then turn down the heat and allow to poach for 10 to 15 minutes. Drain, reserving the cooking liquid. 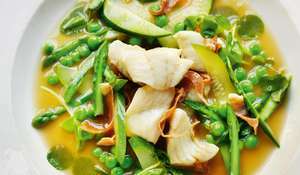 Heat the olive oil in a large saucepan over medium-low heat and sweat the onion gently until very soft, about 10 minutes. Add the paprika, cook for 2 minutes, then add the chicken thighs, about 700ml of the cooking liquid and the prunes. Season with the salt and pepper and simmer for about 20 minutes, until heated through. 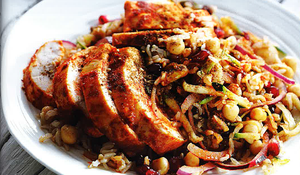 Check the pan with the chicken, and if it is very watery, remove the chicken, prunes and onions with a slotted spoon and keep warm while you reduce down the sauce, so that you have a small amount to spoon over each portion. 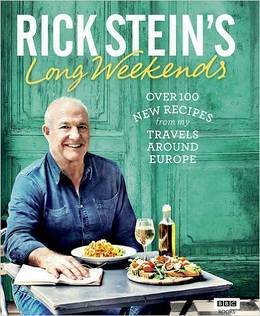 Rick Stein's Long Weekends celebrates the meals you could have, just a short plane or train ride away from the UK, including favourites from Cadiz, Palermo, Copenhagen and more.